Home › FAQ › How Are Christian Accreditation Agencies Different From Public School Accreditation Agencies? When you are searching for a college to attend, accreditation is important, but knowing how Christian accreditation agencies are different from public school agencies is also important. Public colleges, which may also be called secular post-secondary institutions, operate under a completely different system than faith-based schools. Since Christian schools have their own unique standards and the curriculum that is delivered is focused on the Word first and the subject second, it is not easy for outside agencies to assess and evaluate an institution. Read on, and learn more about the types of accrediting agencies that work to set requirements and audit practices so that you can feel comfortable as you are comparing schools. 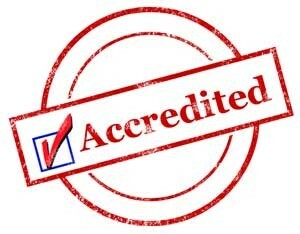 How Are Traditional Public Schools Accredited? One thing that makes a public school different from other private secular and faith-based schools is that the state controls the content that is delivered because the schools themselves are funded by local and state governments, according to the College Board. Since the school is funded with tax-payer money instead of solely on the tuition fees, the cost to attend public school is often lower. Since the control of the content is in the hands of the state, public schools must meet the accreditation requirements of an agency that is recognized by the Council for Higher Education Accreditation. The council is recognized by the Department of Education and gives students access to Federal loans and even some state grants. The actual regional accrediting bodies are private organizations with the sole purpose of reviewing programs and schools for quality. The agencies are not affiliated with the school in any way to prevent any bias. How Are Christian Colleges Accredited? Christian colleges are free to go for a regional accreditation or a national accreditation if they meet the voluntary applicant requirements. While some will go for the traditional accreditation that public schools do, they are not required to. Instead of going for a secular accreditation, some Christian colleges will only pursue accreditation through religious accrediting or biblical accrediting associations. The non-governmental associations are in place to peer review and make colleges accountable for the curriculum that they deliver. They will look for how the Word is incorporated into courses and other topics like spiritual accountability. Some of the most well known agencies include: Association of Christian Schools International, American Association of Christian Schools, International Christian Accrediting Association, National Christian School Association, Christian Schools International and the Association of Christian Teachers and Schools Assembly of God. You can find a complete list of national faith-based accreditation agencies, you can go through Council for Higher Education Accreditation database. If you are still trying to decide which type of college you would like to attend, you should look into the other differences that exist. Public schools take a more humanistic approach to education and does not focus on faith or the word. Christian schools go by the rule that the Word is Truth and takes a biblical perspective to everything. While the content of curriculum is different, the environment is as well since Christian schools ten to have more strict rules in terms of conduct and behavior. It takes a great deal of research to choose the right school where you plan on earning a degree. You can keep costs low and you can secure Federal loans and aide at public schools and some regionally accredited Christian schools. Make sure to learn about how christian accreditation agencies are different from public school agencies and make educated decisions on your continuing education.